Founded in 1979, First Response serves Greater Michigan and north central Indiana with disaster restoration services. 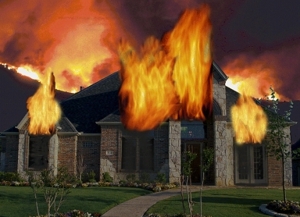 We are a full-service disaster restoration contractor that offers services for homes and businesses damaged due to a variety of causes, including fire, smoke, water freezing, hail, wind vandalism explosion and gunshots. First Response offers restoration services for antiques, collectibles, artwork, documents and electronics. We also provides water damage, mold and biohazard remediation services. We are fully licensed, insured, and IICRC-certified. The IICRC is a certification and standard-setting non-profit organization for the cleaning and restoration industries. Call (574) 307-8453 to restore your business or home after a disaster.